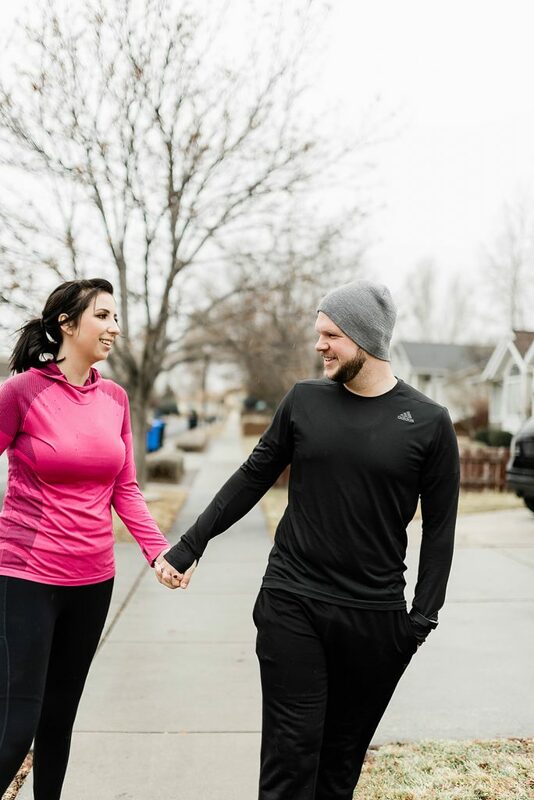 It’s no secret that Dustin and I have been working really hard at changing our lifestyles for the last year and, I’m proud to say, we’ve been really successful in just that: lifestyle changes. Two years ago, we found ourselves both at our heaviest weight, with Dustin recovering from a very scary emergency gallbladder removal surgery while traveling for my sister’s wedding. It scared us both. 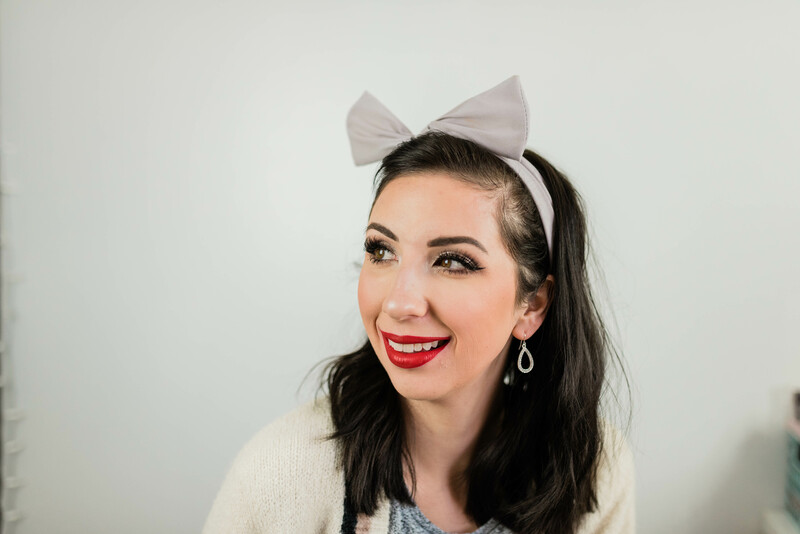 We realized that we had developed a lot of habits that were resulting in our bodies feeling pretty crummy and not performing the way we wanted them to. So, we set out to make changes that would actually stick and would slowly, but surely, give us the results we wanted: feeling better. It’s been life-changing. Dustin and I both feel so much better. We have more energy, we’re sleeping better, and our endurance has increased by 10 fold (which is a big deal for me, since my body took a hard hit from chemo.) It’s easier to make healthy choices when it comes to eating, and for the first time in my life, I LIKE and CRAVE going to the gym. Additionally, we’ve both physically seen results in terms of weight loss and reduced bloat, which has been amazing for my joint pain. I’ve been told that my knee replacement will last longer and not bother me as much if I keep my weight below a certain point and I’m only 5 pounds away from that number! It’s amazing to have my daily pain level go from a constant 6 to a 4 (and sometimes a 3!) 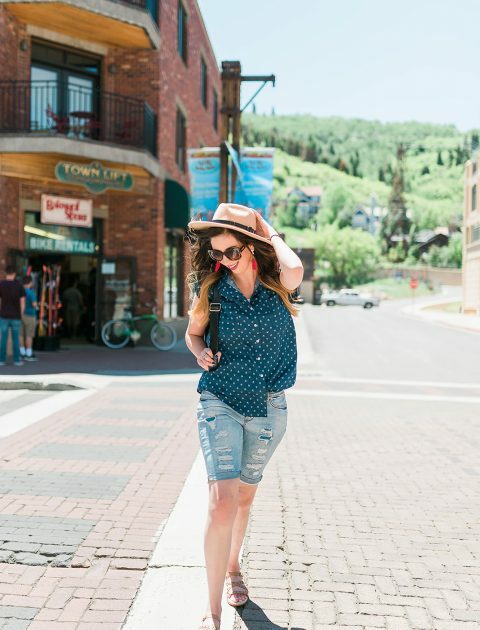 It’s given me a whole new level of confidence in my body and what I, Chelsie Carr, am able to accomplish with it. 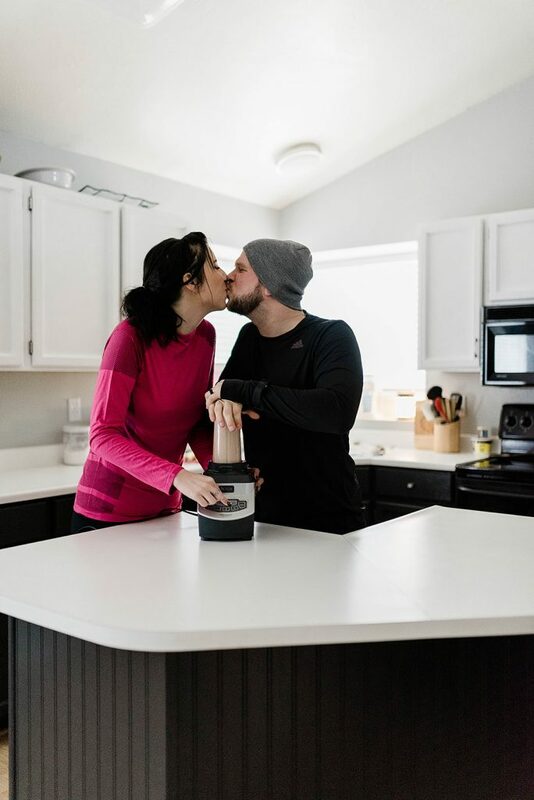 We’ve definitely made adjustments to how we celebrate holidays (for the most part – we definitely went a little overboard on Superbowl Sunday #stresseating) and thought we would share some of the simple ways we’ve planned for Valentine’s Day to fit into our healthier lifestyle! Valentine’s Day is usually filled with fancy dinners, candy hearts, and lot’s of chocolate, and while we will for sure treat ourselves to something sweet, we’ll definitely approach our day differently than in years past! 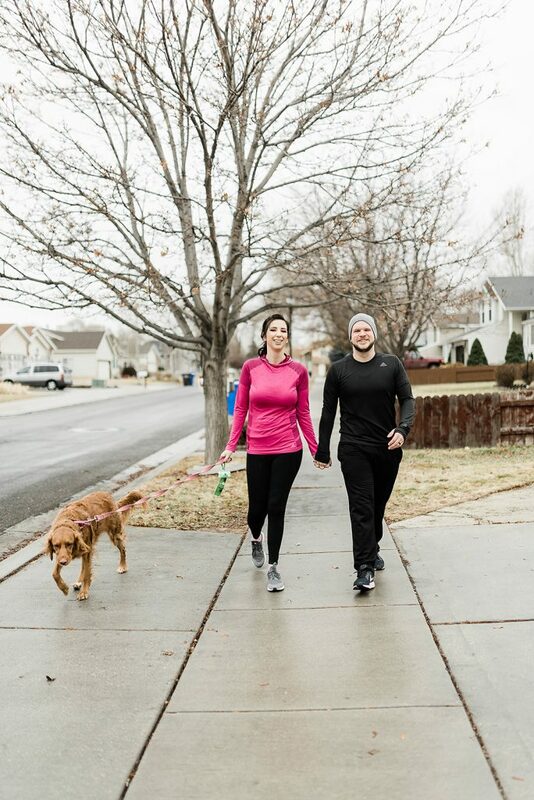 Go for an Unplugged Walk – One of our favorite things to do is to take our dogs for a walk, completely unplugged. 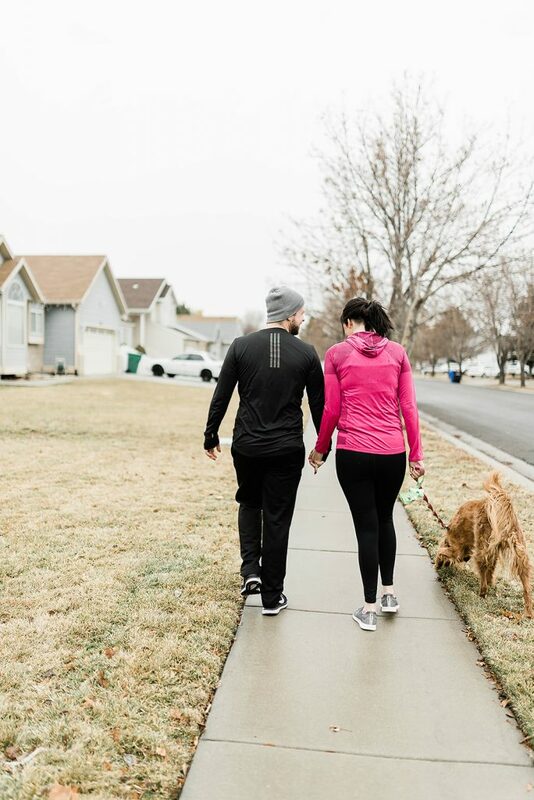 We leave our phones at home, throw on our favorite active gear (currently loving this adidas pink long-sleeve for me and Dustin loves this long-sleeve workout tops from adidas as well) and leash up the pups to go for a little jaunt around the neighborhood. 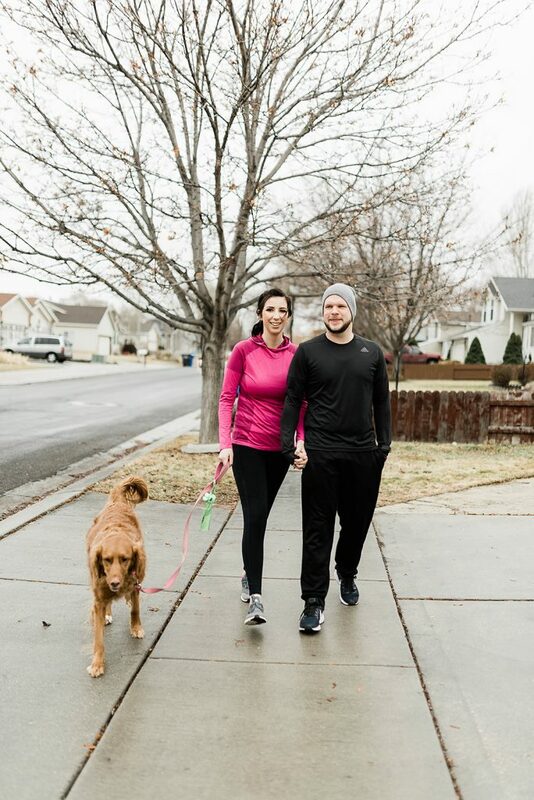 Not only does this help both us and the doggos get some fresh air and move our muscles around, but it gives Dustin and I time to really connect and chat without the distractions of texts, phone calls, or social media. We usually talk about our day, make plans for upcoming trips, or relive funny memories from dating. 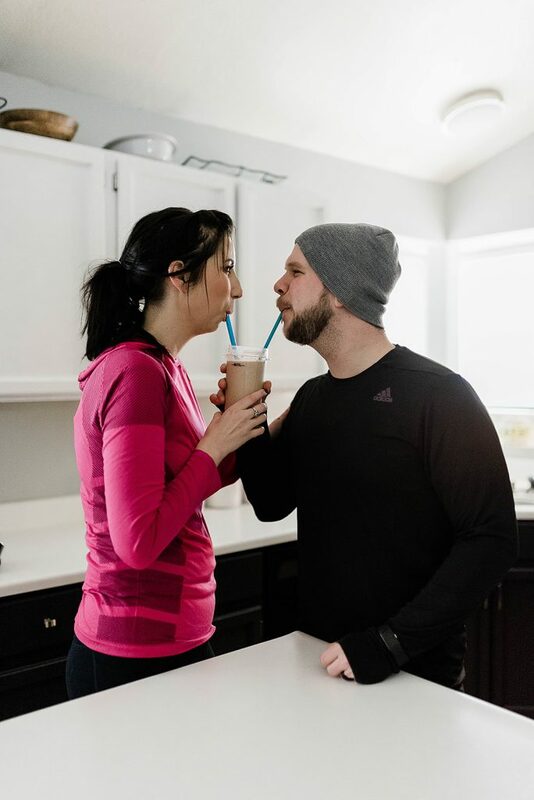 Make Protein Shakes Together – Okay, if I’m being honest, it’s more like “Dustin makes protein shakes for Chelsie” because he’s WAY better at making them. Mine are usually too icy or too frothy and hard to drink. 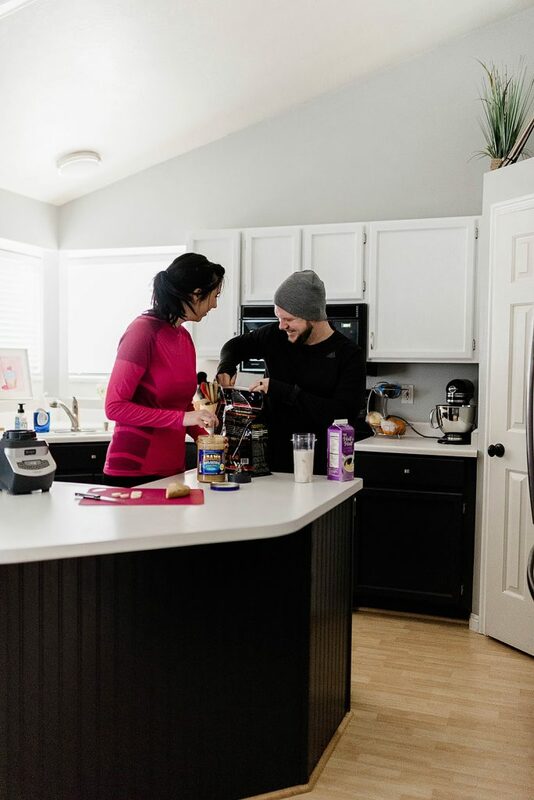 Dustin, however, is a protein shake pro and I love getting all the ingredients out for him to whip up a tasty drink. 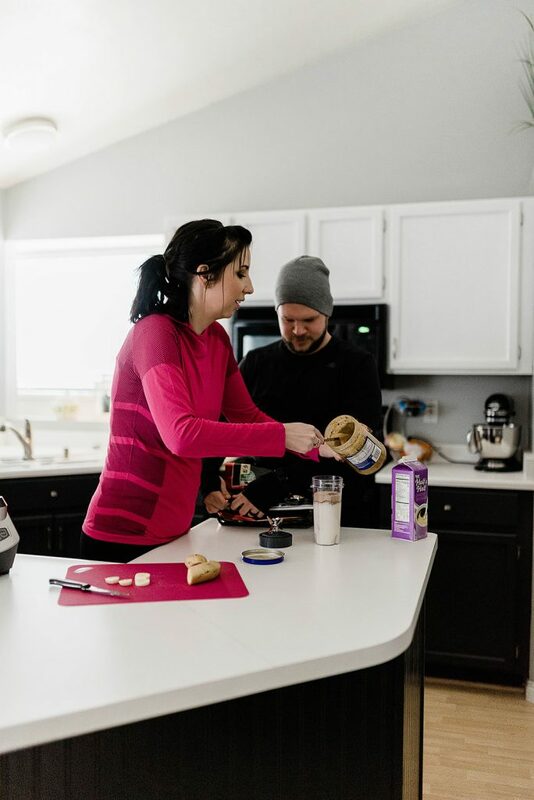 Since we are mindful about how much processed sugar we consume, protein shakes are like a dessert to us – especially the chocolate & peanut butter ones Dustin makes! This is what we’ll have instead of chocolate on Valentine’s Day! Treat yourself to New Active Wear – I don’t know about you, but whenever I’m feeling a little unmotivated to get to the gym, I treat myself to new active wear. Whether it’s a new top, workout leggings, or socks, there’s something to be said about having a new piece of gear to wear to the gym. 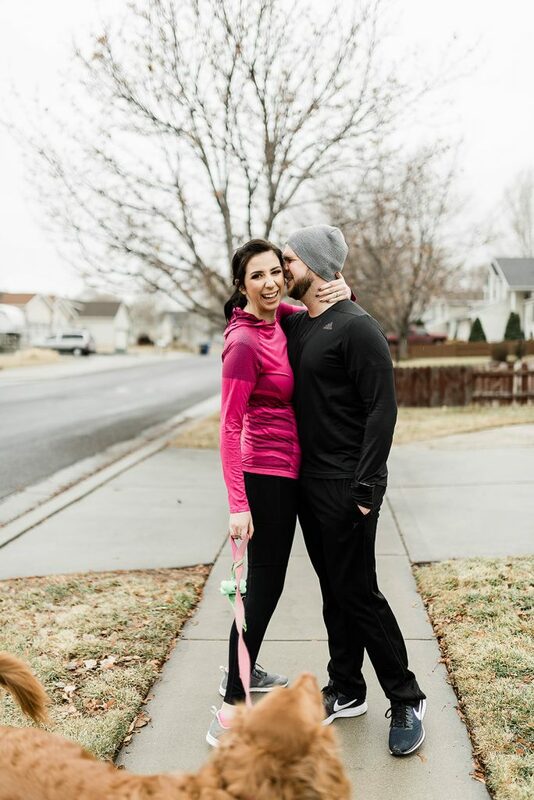 Whenever Dustin or I hit a certain goal or are feeling the winter-slump, we either go out and pick out some new activewear together or order it online! 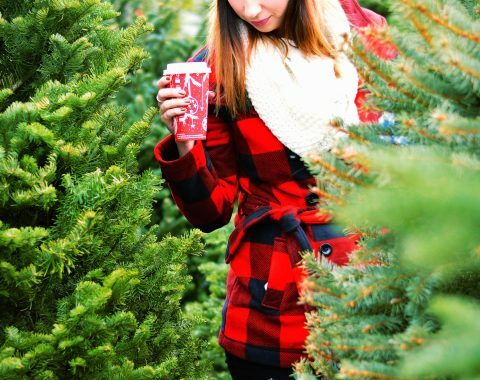 It’s a fun date-night idea (which usually ends in us going to the gym to test it out!) 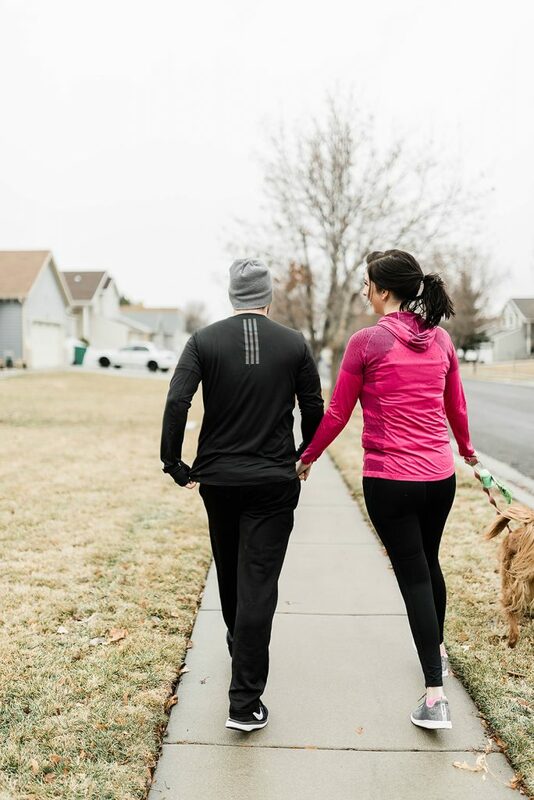 I got a question the other day about where we get our activewear and to be honest, we’re huge adidas fans – their gear is well designed, high-quality, and durable. My adidas sneakers are my favorite pair of sneakers I’ve ever owned and I love that all of the tops I have by them get washed EVERY week (cause sweat) and they still look great. 10/10 recommend. Are you interested in hearing more specifics about our current lifestyle/the food we eat/the workout plan we follow? Let me know in the comments below, along with your Valentine’s Day plans!